Join us on our Global Gap Year programme, starting every September. This is an incredible opportunity that takes you to five different countries around the world in 28 weeks. At the same time, you’ll become part of ongoing efforts to support local communities. From construction work in Ghana to survey dives in Thailand, you’ll gain international work experience in a range of fields. It’s a fantastic way to broaden your horizons and learn about global issues before going to university. You’ll encounter different cultures and team up with people to address the challenges affecting local communities. We take care of all the details, ensuring you have a safe trip, and we provide 24/7 staff support. This means all you need to do is focus on making an impact at your placement. On this group adventure, you’ll have the chance to meet people from around the world and make memories that will last a lifetime. Is a gap year abroad right for me? Then our Global Gap Year programme is for you. It’s a way for you to do something worthwhile and exciting before taking the step to higher education. You’ll get to travel the world and experience different cultures. 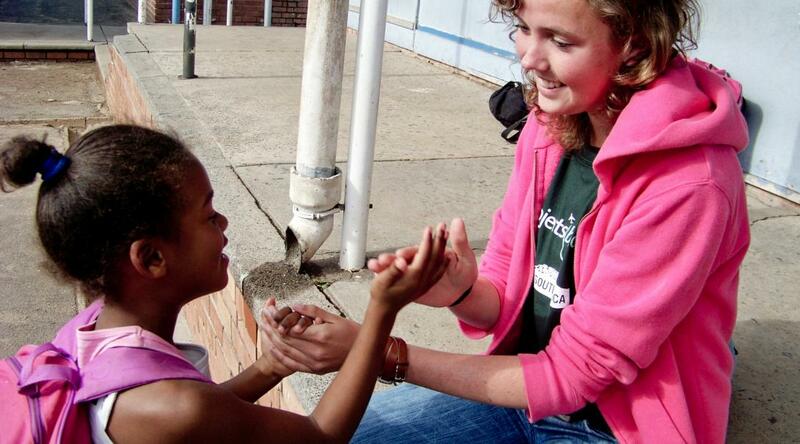 As a volunteer, you’ll work to address the needs of local communities while immersing yourself in a new way of life. You’ll gain hands-on experience in a range of different fields, from Conservation to Childcare. You don’t need any previous experience to join our Global Gap programme. You’ll be supervised by local staff and receive a comprehensive introduction for each placement. Gap year travel with a group provides you with a great support system and you’ll make friends for life. Our staff are also available to help 24/7 in each country, so that you can enjoy a hassle-free time abroad. This trip takes place on fixed dates between September and May each year, and is open to all gap year students looking for a once-in-a-lifetime experience. How does the Global Gap Year programme work? Our Global Gap Year programme is an organised group trip designed for students taking some time out before university. You’ll travel the world with other people your age for a total of 28 weeks, visiting five countries on three continents. We provide 24/7 staff support in each country and take care of all the details. All you need to do is focus on your volunteer work. The Global Gap programme fee is £16,995. You can apply for your place on the trip here. What will I do on this Global Gap Year programme? On this organised group gap year, you’ll get the chance to volunteer in five different countries. You’ll work closely with our local staff members, learning about issues that affect the local community. But it’s not all work and no play. You’ll also go sightseeing and experience the local culture. This is what you will do around the world. Your time in South Africa begins with a one week orientation in Cape Town. You’ll get to meet your fellow volunteers and take part in workshops which will prepare you for your time abroad. These workshops will cover topics such as culture shock and international issues. You’ll also get to take part in different cultural and social activities, visit some of the different Projects Abroad volunteer projects in Cape Town, and sample South African cuisine. As a group, you’ll also visit some of the amazing local sites, such as Table Mountain and historic sites like the Castle of Good Hope. You'll spend the following two weeks helping out on the Surfing Project, where you'll teach disadvantaged and disabled youth how to surf, or on the Nutrition Project, where you'll support local initiatives to improve nutrition levels in township communities. Law & Human Rights: Intern at our local Projects Abroad Human Rights Office, where you’ll get involved in social justice initiatives addressing human rights issues in the community. Childcare: Your focus will be on supporting the early childhood development of children from disadvantaged township communities. See the full range of options on our South Africa information page. The next stage of your trip takes place in Ghana. 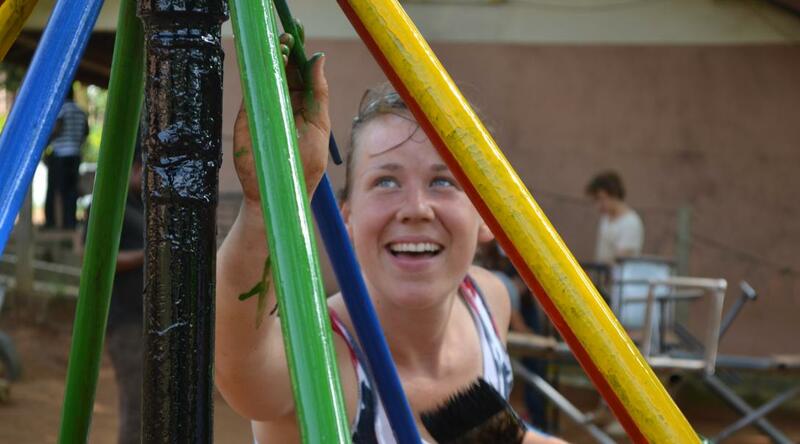 You’ll spend four weeks volunteering on our Childcare and Building Project in Akuapem Hills. On the Building Project, you’ll get involved in practical construction work in the community. You’ll get your hands dirty with local masons as you build classrooms, toilet blocks, libraries, or homes. This is important work, as community members often cannot afford adequate housing, and schools do not receive enough funding to provide sufficient classrooms. With your help, you’ll provide communities with better-quality homes and the children with safe schooling environments. On the Childcare Project, you’ll get involved in practical work at a local daycare centre. You’ll assist the caregivers and organise fun, educational activities for the children. Extra hands are needed as the centres we work with are overcrowded. Having a high student-teacher ratio means that the children often don’t get enough personalised attention. With volunteers there to help, we can make sure the children get all the support they need. After your four week winter break, you’ll join us again in Cusco, Peru, for nine weeks. You’ll participate in our Teaching Project, helping out with our innovative teacher training programme which takes place during the school holidays. Here, you’ll prepare interactive lessons for small groups of local teachers to assist them in improving their own English levels. In Peru, teachers at public schools struggle with their English. They are usually experts in subjects like science and history, but are then also asked to teach English. As an English-speaker, you can help by assisting teachers with pronunciation and putting together sentences. Depending on the scheduling of the teacher training, your Global Gap group may also get the opportunity to spend a week on our Incan & Wari Archaeology Project in the Lucre valley of Cusco. On this fascinating placement, you’ll gain hands-on experience in different aspects of archaeological work. At the conclusion of your volunteer work, you’ll visit the magnificent lost city of Machu Picchu. After several days of hiking and exploring ruins, your group will spend the few remaining days relaxing in the city of Cusco. 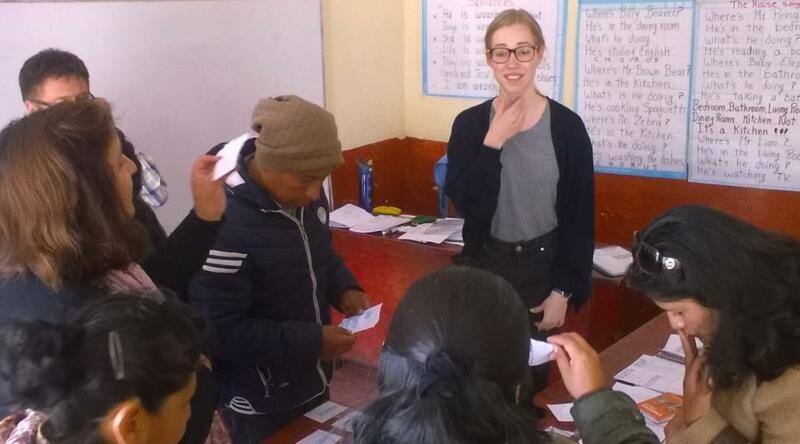 In small yet stunning Nepal, you can choose to spend your four weeks on one of two projects: Conservation or Medicine. On the Himalayan Conservation Project, you’ll work in the Annapurna mountain range helping to conduct wildlife research and protect the local biodiversity. The area is home to some incredibly unique species, from leopard cats to black bears. On any given day you’ll get involved in a range of different tasks, from bird surveys to community recycling initiatives. If you choose the Medicine option, you’ll shadow doctors in a busy teaching hospital in Chitwan. 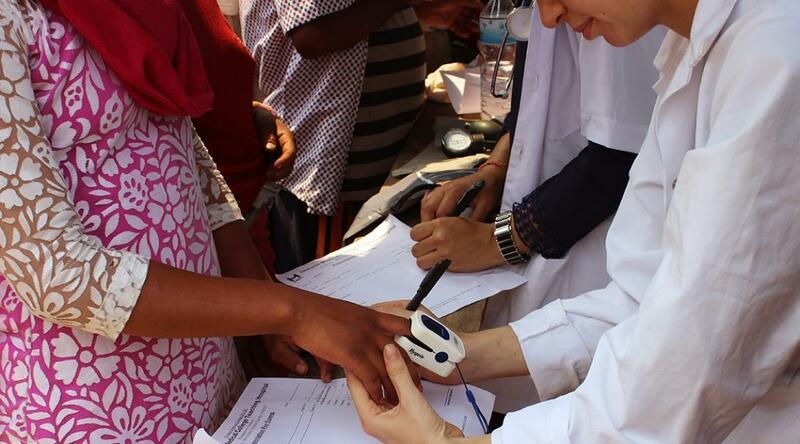 This is a great opportunity for those of you with an interest in the field, as you’ll get to learn about medical practices in a different cultural setting. You’ll also get involved in public health outreaches and education programmes in the local community. As a group, you’ll also get to go on a weekend trip with staff to explore breathtaking sites like the foothills of Mount Everest or Chitwan National Park. The last stage of this Global Gap year takes place in Thailand. 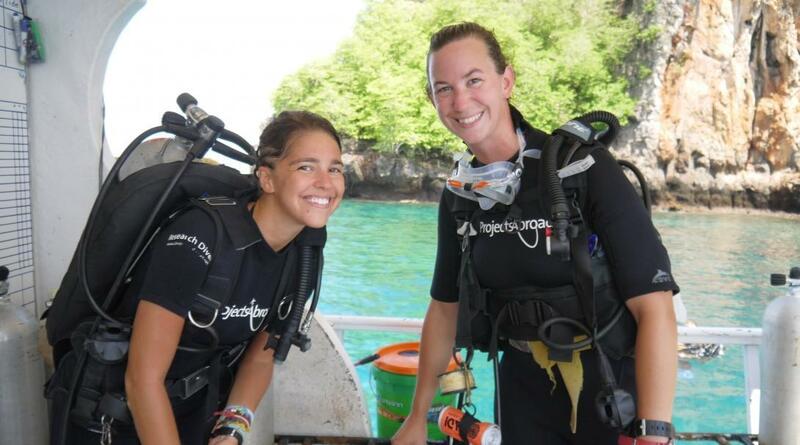 You’ll spend four weeks on our Diving & Marine Conservation Project near Ao Nang. In your first week, you’ll learn how to become a certified PADI diver. Once you’ve completed the course, it’s time to take part in breathtaking dives amongst the coral reefs. If you’re already a certified diver, you can begin your conservation work immediately without completing the training, or you may take a specialty diving course instead. There are also Teaching and Childcare Projects for volunteers who would like to do something other than the diving programme. What are the goals of this Global Gap programme? The main aim of this programme is to give you a rich cultural experience while supporting important community projects across the globe. We believe in the importance of cultural exchange, which fosters greater understanding of others. On this 28-week trip, you’ll get to encounter people from all walks of life, as you live and work together. It’s an opportunity to learn from other people, share experiences, and make memories that will last for a lifetime. In each of the countries you visit, you’ll also become part of our ongoing community projects. Each of these projects is designed to address the needs of the local community. From Conservation to Childcare, you’ll be helping to make a positive impact in the lives of others. Join us on our Global Gap Year programme and gain international travel while giving back as a volunteer on this once-in-a-lifetime trip. We’d be happy to talk about creating a custom gap year programme for you. Most of our staff have been volunteers themselves, so they’re well placed to answer your questions, big or small.